What is this mystery stick? I have been gifted three of them in different bombs. All I find to identify them is an illegible scribbled sugnature on the band. It says "MMMM... Smoke me. I am DEEELISH." In spanish of-course. 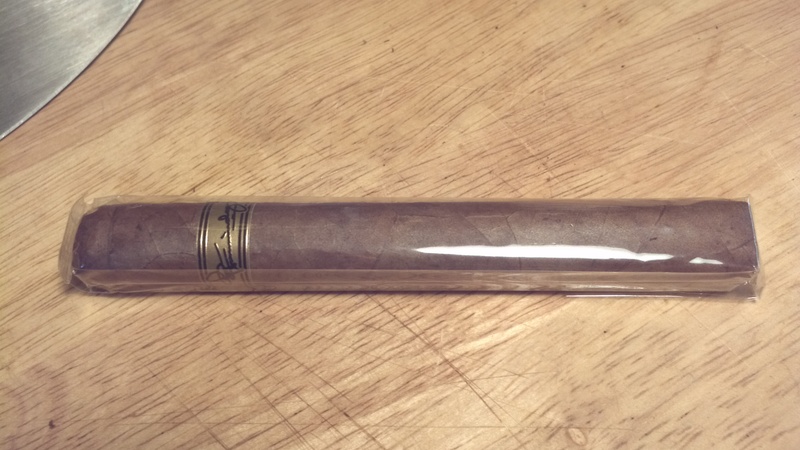 That is one of the best three buck cigars out there. They are as good ( or better) than many I have had at twice the price. You will enjoy them. Looks like the maduro version, no? Alright. Okay. Who sent me these? Come on, fess up. I wanna give you a big sloppy wet kiss. Man! What a smoke! ////it seeze mazo's, but sure it aint a bundle? Are they equally good with the Habano wrapper? Do they improve if you age them? Seemed to me that it was the right modest gauge but the wrong length. Done before I'd had enough. Only got a scant hour out of it. Would have been better as a Lonsdale. Any reports on the Churchill? If that was the one I sent you, it was the Habano wrapper. Yeah I dunno which is which. They all 3 look the same. I assume they are all Habanos then. Hard to tell comparing pictures from the c.com site to the color on this. It's a sort of olive color. The c.com catalog pic shows the Habano more red, the maduro more olive. But I am your typical color blind male. the site says mazo so i says mazo, lol. i'd like to buy some of the maduros (both i got were habano) but i had to put a freeze on my spending for the next month or two.